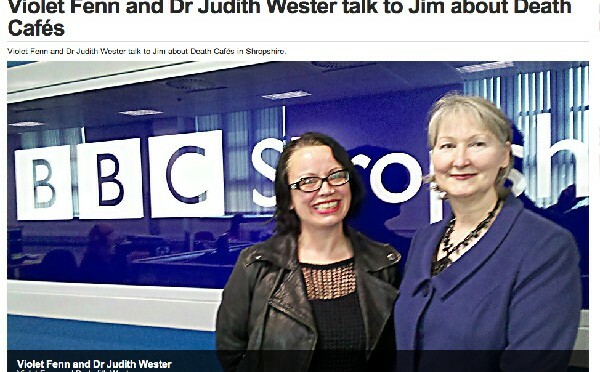 Dr Judith Wester and Violet Fenn chat about death on the Jim Hawkins in the Morning show on BBC Radio Shropshire, 24th April 2014. To listen again, click on the audio player below. Is saying sorry ever really enough? Jim chats to Violet Fenn and Dr Judith Wester about the Death Cafés they are holding in Shropshire, encouraging people to talk about death and dying in a friendly atmosphere. He also talks to June Middleton from Cruse Bereavement Care about the support they can provide for people who are grieving.